Band to Join, Vocalist - Tenor, Vocalist - Soprano, Vocalist, Vocalist - Bass, Vocalist - Baritone, Vocalist - Alto, Violin, Trumpet, Saxophone, Rhythm Guitar, Piano, Other Percussion, Other, Mandolin, Lead Guitar, Keyboard, Harmonica, Flute, Fiddle, Drums, Dobro, Bass Guitar, Banjo, Background Singer, Acoustic Guitar. Violinist, Fiddler, Composer, & Multi-Instrumentalist! Thomas is a great young performer and recording artist coming up in the music biz today! He has an original sound, and style! 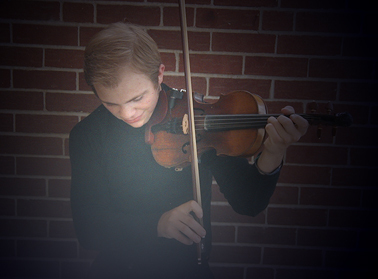 From traditional fiddle tunes, to pure originals he is breaking his way into the world of music! 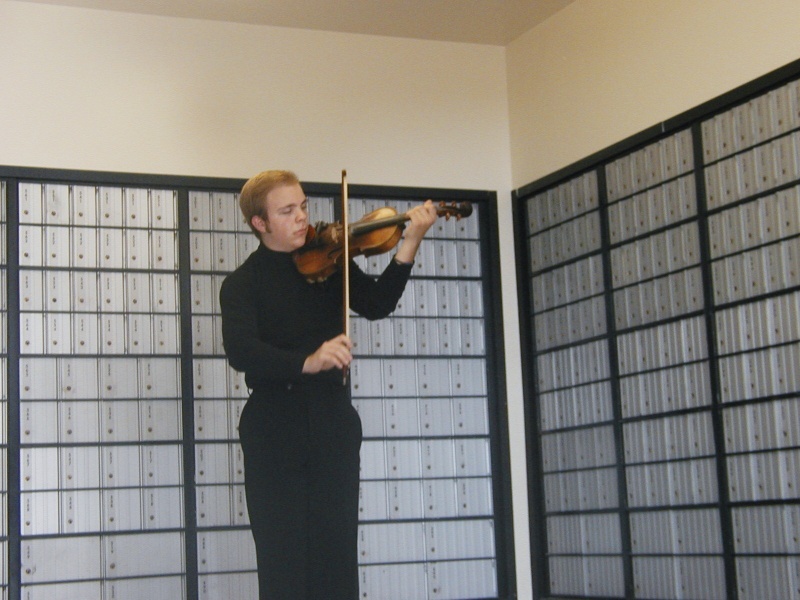 Thomas had studied Classical Suzuki Violin for 12 years when he visited the Branson Mo area on vacation with his family in June of 2003. Within days he had fell in love with the soulful country bluegrass sound and the old time fast fiddling. In typical "Thomas fashion", he threw himself into the music and within a few weeks had taught himself dozens of bluegrass and country fiddle tunes. He was then encouraged by Lawrence Dysart to audition at Leland Jones' Country Pickin’ Opry in Richmond Mo. where he was invited on stage to “play a little something” and stayed there for the entire show that first night. Leland Jones gave him an outlet to perform this new musical love and the stage experience that was to shape his life. Over the next several years like any young man trying to find his voice in the world, Thomas went on to teach himself to play the mandolin, four string banjo, five string banjo, guitar, drums, and basically whatever instrument he could get his hands on. He could hardly touch an instrument without music, lovely original compositions flowing from it as if from the instrument alone. He was just the tool to let it sing. 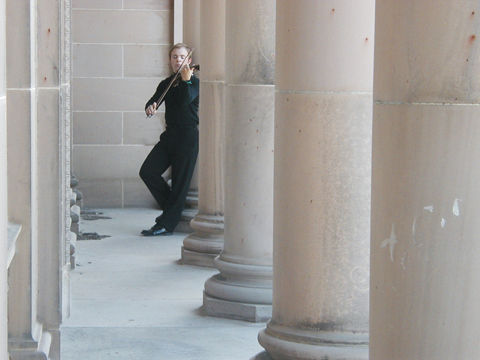 Through it all, however, the violin has remained his greatest love and primary instrument. 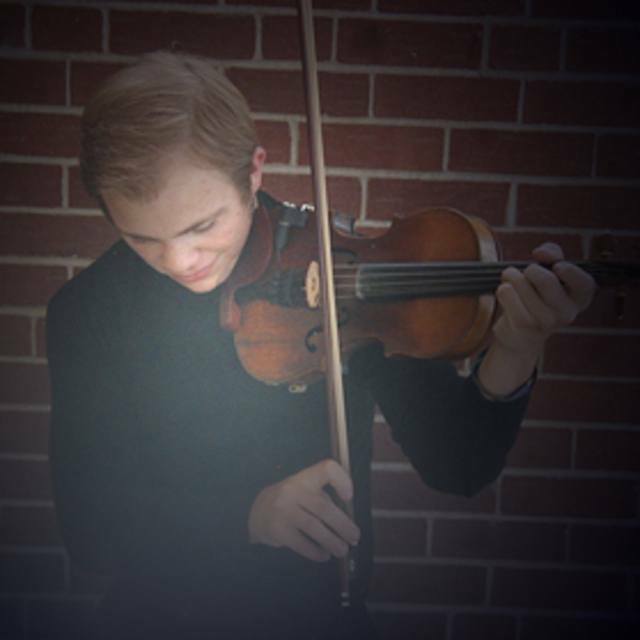 Thomas has met and studied under, such wonderful musicians as: Mark O'Conner, Carl Cook, Alice Joy Lewis, Matt Wyatt, Brian Lewis, and many others. But like any truly fine musician, Thomas learns from every performance, every recording, every musician that came before him and the music that permeates life itself. In the last three years he also has had the wonderful opportunity to learn about the recording part of the business from the bottom up. In 2004, he recorded “Red, White and Bluegrass”, a collection of traditional fiddle tunes as a way to test out his new love for this genre. Phil Rogers at Air Digital Records let Thomas participate in the editing and producing process. His CD’s quickly sold out and so in 2005 he was ready to expand his recording experience to include all-original songs. He worked with Scott Dawson of Tudor House Records to put out the CD, “Rosewood”. This CD was unique in that not only did Thomas write all of the pieces, but he also played every instrument for each piece layering the tracts until it sounded like a joyful jam session in progress. Again, this CD sold out quickly. In 2006, Thomas was asked to collaborate on a CD for Butch Carter, called, “By Request…” playing all three instruments; fiddle, banjo, and mandolin as back up to the vocals. His most recent work is a demo CD designed to showcase his incredible talents and hopefully launch him into the national music scene. "It's all about having fun, and enjoying the music behind the musician!"